Also 19 takers for the ‘short’ bus walk from Pit Lane, Pleasley – led by Kath. A route towards Rowthorne Village, and then across the fields to the Rowthorne Trail – into Hardwick Park for lunch. 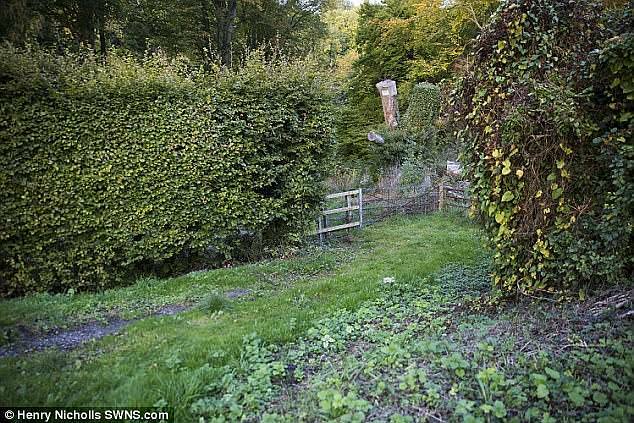 Lady Spencer Wood to Norwood – and back to the Rowthorne Trail. Due to repair work on the Teversal Trail bridge the group had to retrace their steps back to Pit Lane. This problem should be sorted in early June. A Goyt Valley walk today for 19 medium car ramblers, led by Eric and Kath. A circular from Derbyshire Bridge, including Errwood Reservoir. Starting from Kings Tree (Howden Reservoir), a group of 15 were treated to a variety of spectacular views when they followed a 12 mile route taking in Cutgate, the Outer Edge, the Porter or Little Don River, Langsett Reservoir and Mickelden Edge. Mel was the leader. Good to see Reg back in action, leading six on a circular walk from Carsington Water, via Brassington and The High Peak Trail – six miles in all. A bit overcast and chilly after a fine week. 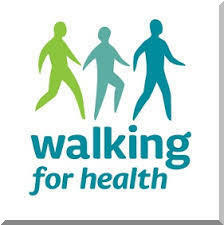 Ten group members set out from Holmesfield, with 30 visitors, for a joint Chesterfield Walking Festival walk, led by Mel. Wimble Holme Hill for coffee, and then proceeded across Totley Moss to Bar Brook Bridge. After crossing Big Moor the group followed the Bar Brook past the stone circle to join the path to Ramsley Reservoir, then proceeding down the valley to enjoy the magnificent display of bluebells in Smeekly Wood. The return to Holmesfield was through Unthank and Millthorpe. We had a turn out of 18 (12 volunteers and 6 visually impaired). 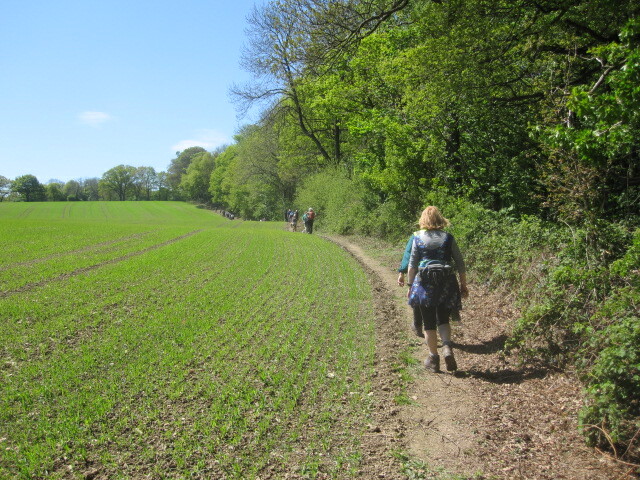 A six mile circular walk from Teversal Visitors Centre down the Teversal and Rowthorne trails, through Norwood (still plenty of bluebells) – then over the fields to Teversal Village before returning back to the Centre down the Skegby Trail. 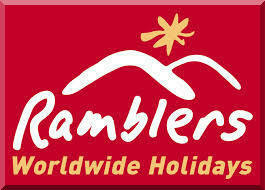 A lovely sunny day, pleasant scenery plus good company – what more do you need ? Leaders were myself and John. 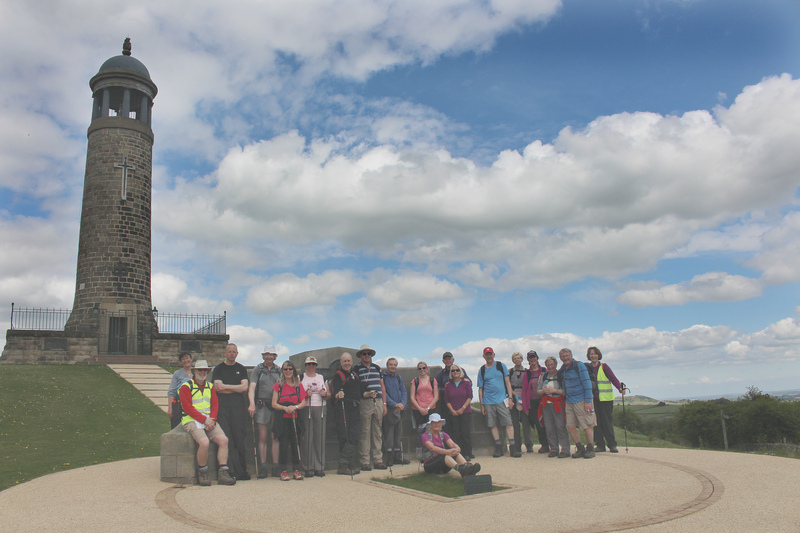 A Chatsworth Round Walk for 32, led by David & Stephen. 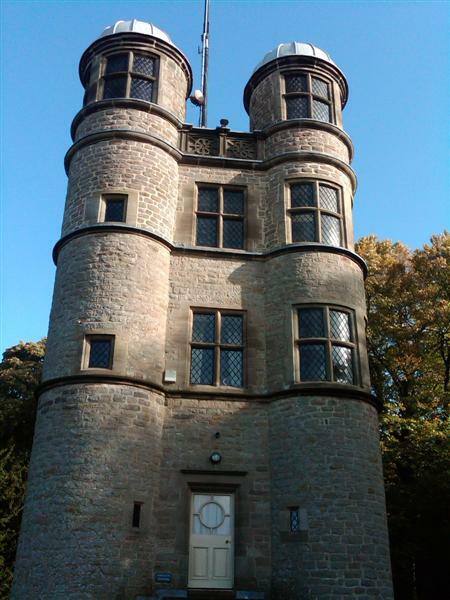 The outward leg via Holme Hall, Linacre, and Gardoms Edge. The return via Hob Hurst’s House, Eastmoor, and Holy Moor. Great weather, if a bit blustery at times. It was good to welcome visitors from far-off places like Bristol and Rugby, as well as local walkers. Mike’s third and final part of the Chesterfield Round Walk. 26 took the journey from Unstone in the north to Heath in the east, via Brimington and the shell of Sutton Scarsdale Hall. Rhona & Gavin led a Walking Festival ‘Water, Trains, & Villages of Derbyshire’ walk from Ogston Reservoir to Brackenfield, Crich, South Wingfield, and Wessington. On a beautiful day the route followed the path down the Dale, followed by a steep ascent on to the Monsal Trail – stopping for a break at Millers Dale. Then along the river following Cheedale to the path leading up to Wormhill. On to Peter Dale where the wild flowers were in abundance and where the group had lunch. Uphill and through the hamlet of Wheston and on to the Pennine Bridleway, across the fields to Tideswell and back to the car park at Tideswell Dale. Another fine, warm day for the Chesterfield Round Walk (Part 2) in its 10th anniversary year. This time Mike led 30 from Stone Edge to Unstone, via Holymoorside, Linacre, and Barlow. The alternative to doing the Chesterfield Round Walk in one bite during the Festival week was to do it in three. Mike led 31 on the first part from Heath to Stone Edge on a sunny, if blustery day. Parts 2 and 3 follow later in the week. There are many more photos of the day on Facebook. The weather for the 18 mile walk from Calver Sough was cloudy but fine. 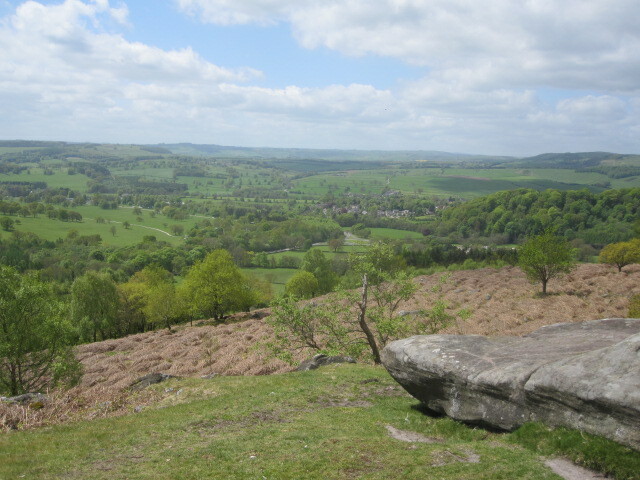 We made a good pace along Curbar Edge to Baslow and on to Chatsworth and the Hunting Tower. Then continuing to Rabbit Warren, Hell Bank Plantation, Beeley and a lunch stop at Calton Pastures. On to Bakewell and Longstone Edge via Rowland before arriving back at Calver. The area around Eyam has been very popular of late. With David temporarily out of action, Dawn led 17 on the Wednesday medium car walk this week, starting from the village. fields to Foolow, where an early break was taken. Ford where the group had lunch. On to Hazelford, Eyam Moor, and back to Eyam – a 9 mile round trip. As predicted the weather was wet and windy all day but being a hardy bunch (one person in shorts despite the weather), it did not detract from a lovely walk. The weather was no better in Chesterfield as Basil led nine bus walkers on the section of the Round Walk from Heath to Stone Edge. He reported all was clear in the area for next Sunday’s 10th anniversary Round Walk and the subsequent ‘Round in three’ which allows the walk to be enjoyed at a more relaxed pace. 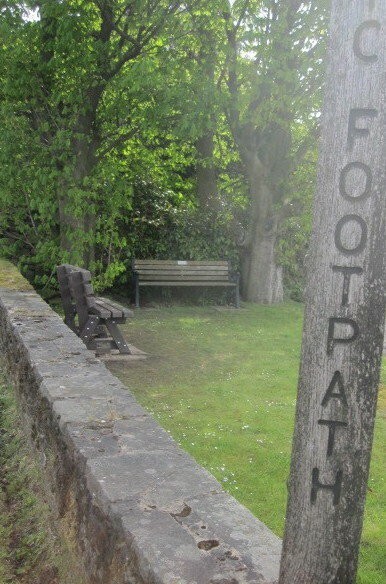 Thanks to the work of the footpath team a second bench (to the left of the picture) is currently being installed in front of the Red Lion / Peak Edge Hotel in commemoration of a group stalwart, Norman Mason, who sadly passed away last year. It will be much appreciated by walkers next Sunday. The route of 12 miles from Ashopton with four walkers started in miserable weather – misty and overcast with a stiff climb up to Derwent Edge, via Ladybower Tor and Lead Hill. This accomplished, we walked on to Back Tor, to Foulstone Road (running like a river), down to Strines Reservoir – accompanied by a White Peacock which we ushered off the road and down a track. Then lunch before climbing back up to Moscar Farm in warm and welcoming sunshine and down the old Sheffield Road back to the Ladybower Inn – for traditional refreshment and our vehicles. 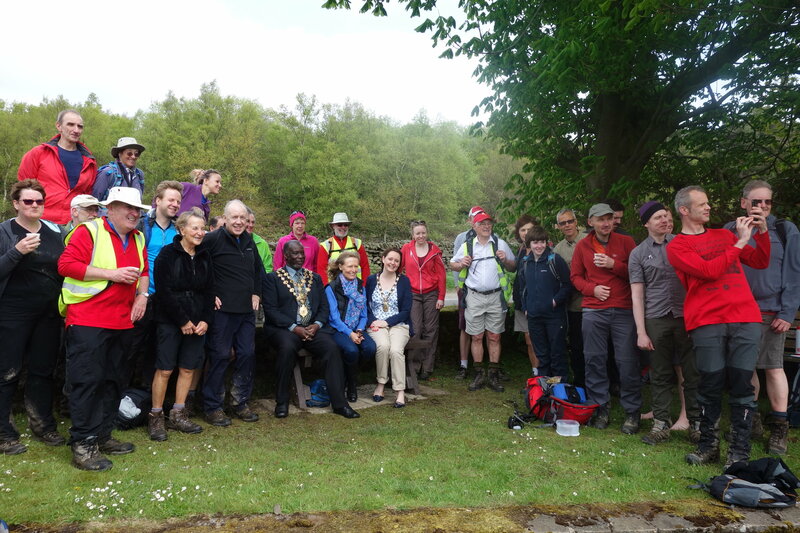 The 18 mile walk from Alstonefield had six participants, two ladies and four men. 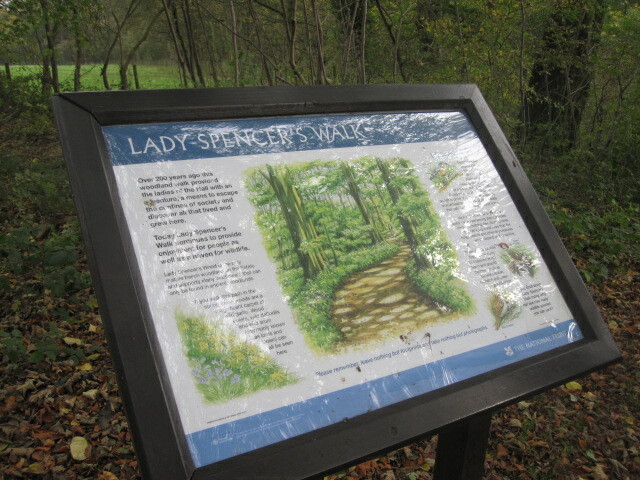 The walk started in not the brightest of weather but when we arrived at Rushley and progressed up Musden Wood everything changed with a multitude of spring flowers from forget-me-nots to bluebells, wood aemonones, wood sorrel, cowslips, spurge etc. – and enormous numbers of very sprightly lambs and calves. Then on to Dovedale with enormous numbers of day trippers to battle through, which we negotiated successfully. On to Nab Dale through Alsop-en-le-Dale, via the Tissington Trail to Coldeaton Dale – to an abundance of pyramidal orchids mixed with cowslips counting into thousands. Up Gypsy Bank to conclude a very successful walk in the bar of The George in Alstonefield – it had rained for the last 15 minutes but all were happy.